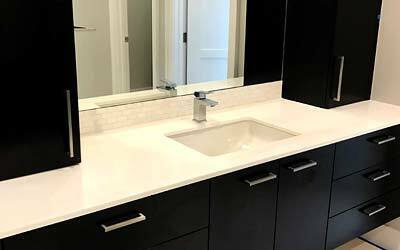 Natural Stoneworks custom countertops are experts in kitchen countertops and kitchen bar countertops, bathroom vanities and tile work, tub and shower surrounds, fireplaces and even barbecue tops. Below are just a few of recent projects for you to browse. 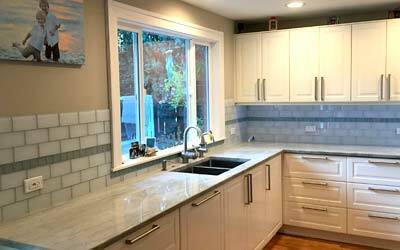 Custom kitchen countertop and back splash remodel in Maple Valley Washington. We had to remove all old countertops, bar counter and old mosaic tile. 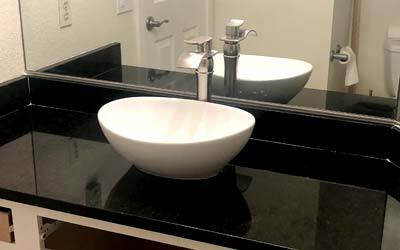 We then designed custom granite countertops, upgrade the backsplash tile and installed new kitchen sink.